A dark and powerful debut novel set in the hardscrabble American heartlands. After trying to help Benjamin Pearl, an undernourished, nearly feral eleven-year-old boy living in the Montana wilderness, social worker Pete Snow comes face-to-face with the boy's profoundly disturbed father, Jeremiah. With courage and caution, Pete slowly earns a measure of trust from this paranoid survivalist itching for a final conflict that will signal the coming End Times. 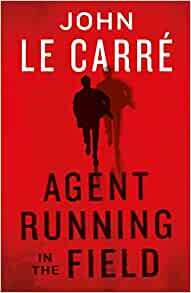 But as Pete's own family spins out of control, Jeremiah's activities spark the full-blown interest of the FBI, putting Pete at the centre of a massive manhunt from which no one will emerge unscathed. In this shattering and iconic novel, Smith Henderson explores the complexities of freedom, community, grace, suspicion and anarchy, brilliantly depicting America's disquieting and violent contradictions. 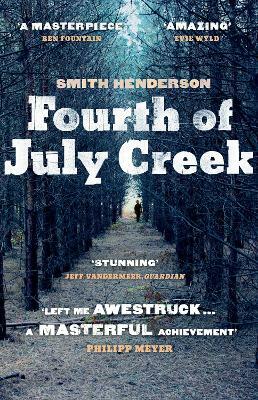 FOURTH OF JULY CREEK is an unforgettable, unflinching debut that marks the arrival of a major literary talent. Smith Henderson is the recipient of the 2011 PEN Emerging Writer Winner (in fiction). He was a 2011 Philip Roth Resident in Creative Writing at Bucknell University, a 2011 Pushcart Prize winner and a Michener Center for Writers Fellow. Henderson's short story manuscript was a finalist for the Flannery O'Connor Award and he was a two-time finalist for the University of Texas Keene Prize, the world's largest student literary prize. His fiction has appeared in American Short Fiction, One Story, New Orleans Review, Makeout Creek, and Witness. He has worked as a prison guard and social worker, experiences which informed his first novel Fourth of July Creek, set in his native Montana.